Dear friends and followers! 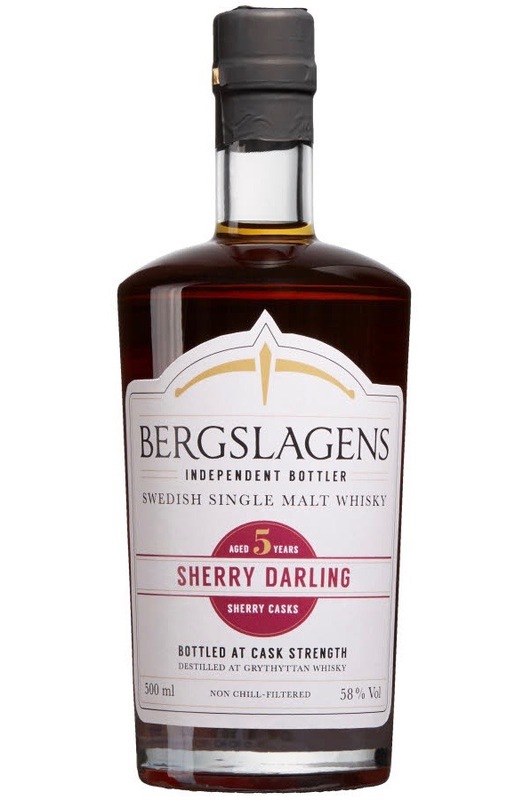 To my immense joy, I received a package last friday which turned out to contain a sample from Bergslagens Distillery! 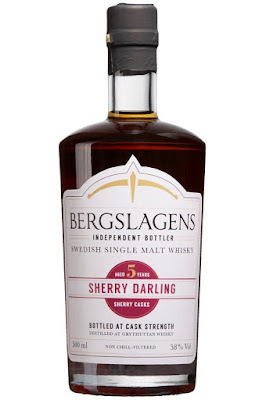 The label declares "Sherry Darling Aged 5 years, sherry casks". This is the first release in a series of three (the other two being "Sherry Darling lightly Peated" and "Sherry Darling Peated"). The pressrelease that I received states that this first release has been produced by blending circa/roughly ten 50 litre sherry casks together. There is no mention either of type of sherry (but I'm guessing Oloroso) or of what kind of oak (european or american). Anyways, the pressrelease does state that the 58% ABV is cask strength (but I wonder, is it rather not batting strength we are dealing with here, and watered to that exakt ABV?). 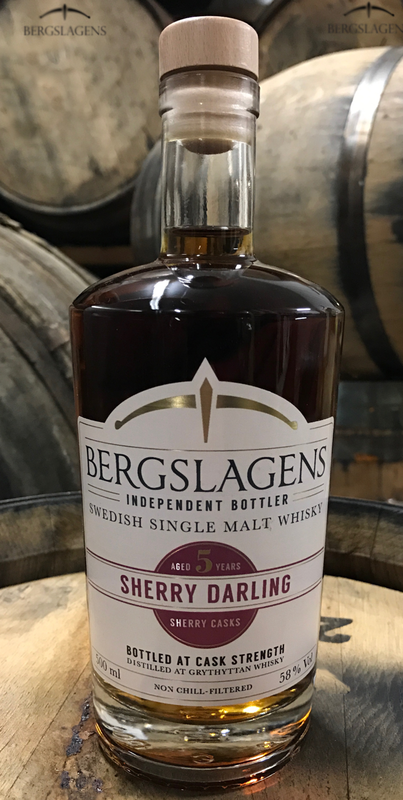 Now, this whisky has not been produced or distilled by Bergslagen Distillery but it was distilled at the (now closed) Grythyttan Distillery. You see, a while ago the people at Bergslagen Distillery purchased all of the stock produced at Grythyttan. So, this whisky should rightly be viewed as an independent bottling, which the label also states. Great! This bottling will be available this wednesday (the first of March) in the four state monopoly stores located in the town of Örebro. It will also be available to order via the order-assortment. Each of the stores in Örebro will have 36 bottles and via the order-assortment there is around 500 bottles available. Ok, let's see what we have here! Oooh! That, is, intense! And dry, very dry, oak-y dry. A heavy mix of dry and dried dark raisins, the leather is definietely there together with large amounts of some really strong-brewed coffee, and big amounts of oak. Wow… also, the first sip makes me wonder if the liquid I'm enjoying is heavy sherry, whisky infused sherry, or just an extreme sherry bomb… the line between these three types or alternatives is definitely hard to tell in this case. There is also a big touch of alcohol going on here (a punch-in-the-face-whisky), but still it does not seem young in charachter (no signs of new make and nothing yeast-y). Is there ”too much” oak? Well, let me put it this way, if the whisky had spent any more time in the casks it might have toppled over indeeed. Not that intense on the raisins any more, but the kiwi and lemon juice really did step up. The burnt leather was also enhanced and is now at the center of attention. Even some sweet liqorice… nice! So, what is so special about this coming release? 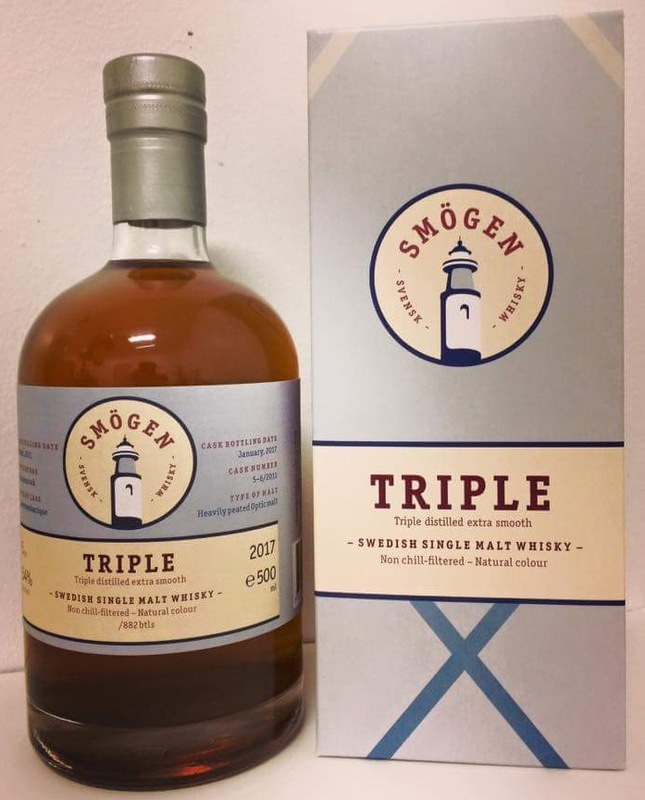 Well, it's a release of the (so far) only triple distilled whisky from Smögen! On the label below it is described as being "intended as an experiment". The whisky is 5 years (and nine months) old and has been fully matured in two Sauternes Barriques (European oak, 228 litres each). The cask numbers are 5/2011 and 6/2011. The malt is heavily peated, in this case meaning slightly above 50ppm. 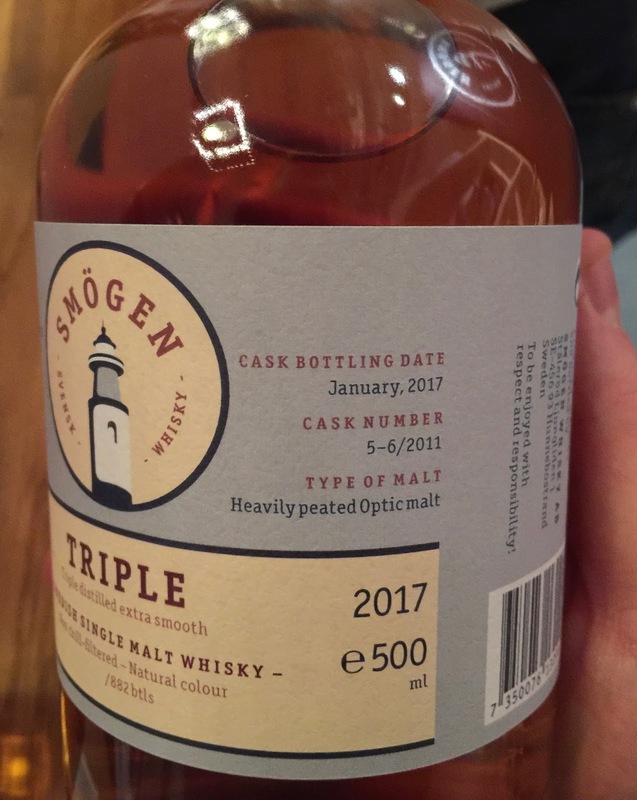 The new make was filled in March 2011 and the whisky was bottled in January 2017. The two casks gave 882 bottles out of which 696 will be available at the swedish state monopoly by web-release, this thursday (the 16th of february) 10 o'clock (view the product here). The info and the words of Pär about "Triple"
1). When you double distill, what is the ABV of the new make coming out of the spirit still? The heart of the spirit run is roughly 70% ABV, in winter slightly higher. 2). When you triple distill, what is then the ABV of the new make coming out of the spirit still? 3). 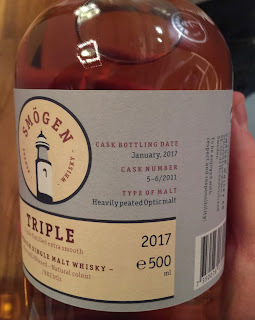 To what ABV did you water this triple distilled new make before filling? The watering at filling was to around 70% ABV. Also, this batch is watered also at bottling [from the cask strength 66% ABV, to 54% ABV]. It is great at 54% ABV, even if it does stand just a little more water if one prefers that. 4). Is this the only time you've done triple distillation, or is there more of this stuff maturing in the warehouse as we speak? 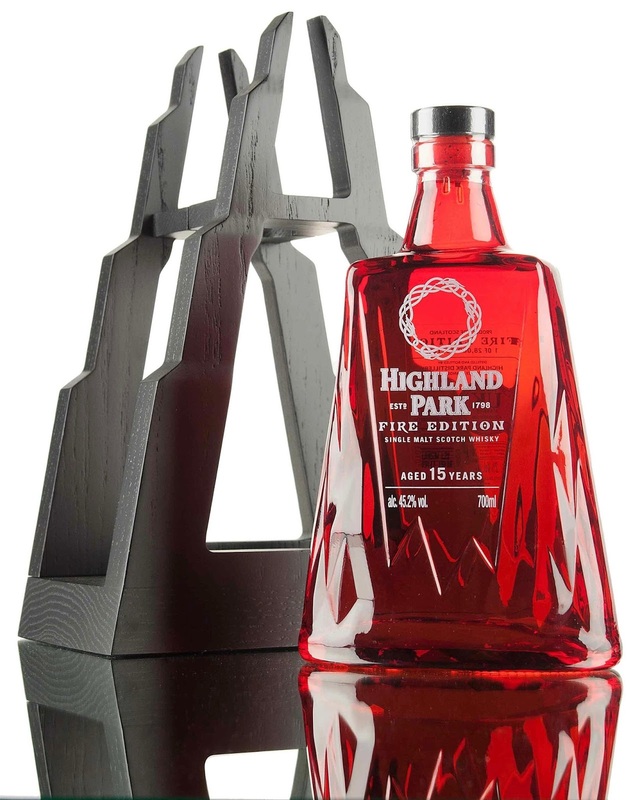 These were the only two casks containing triple distilled whisky. 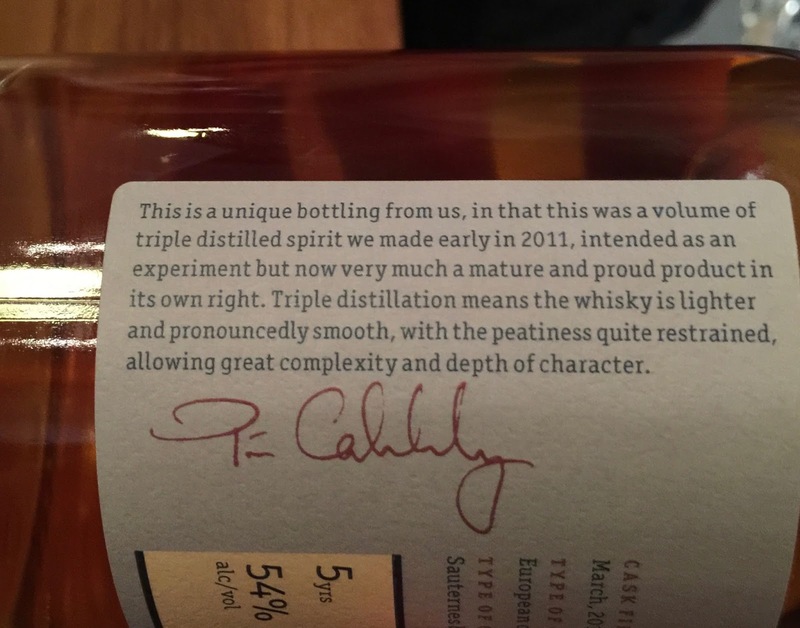 I'm thinking about triple distilling again. The sauternes barriques used are first fill/fresh, but with a light toasting level, while SC 7/2011 was medium plus toasting level. [The toasting level] makes a huge difference. Very fat and big! Boasting of first and foremost whipped full fat cream, dark vanilla fudge almost even chocolate fudge, dark sugar moving into light swedish baking syrup (treacle/molasses?). All of these things are in the first or main ”layer”. There is even a tad of cold coffee in there. All these things are almost inseparable, tightly clinging together to one another and really hard to tell a part. As far as the second layer is concerned there is just a tad of baking yeast and something reminding me of the peel from swedish Ingrid Marie (red winter) apples. (Damn, now I can’t stop thinking about cinnamon, cardamom and vanilla custard…). The peat? Well, it’s very, very chocolate-y in style but also sort of having a barbecue in the woods. 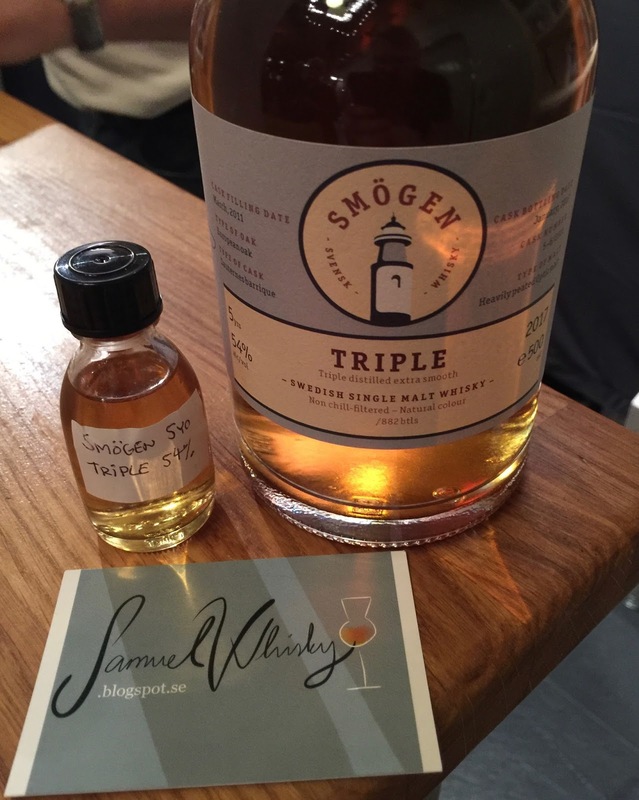 Wow, this sure is a complex dram… everything is extremely well integrated... Ok, let’s have a sip! Salt and dark sugar begins and they are completely inseparable! So is all of the earthy peat and the light milk chocolate that follows, also the very, very soft vanilla cream. Everything blends together in a really fascinating way, wow… When swallowing, a gently dry peat evolves together with even more milk chocolate. There is also actually, interestingly enough the red apples from the nose, but not peel this time, rather ovenbaked apple pulp or flesh. At the start of the aftertaste, with my mouth closed, the light alcohol ”rises” in my mouth, moving towards my ”upper mouth” (the pharynx), then follows the baking syrup. For a while, in the late aftertaste, everything gets more and more thick and meaty, or rather chew-y, yes very chewable. This dram is very comlex and most of all, everything is so well integrated. I can’t think of any scent, any flavour, or any of all the elements going on here that does not cling together or intermingle with one another. To try to describe this in another way, I can only come to think of one word and that word is, mature. Yes, this is a mature whisky, and an extremly enjoyable one, both when it comes to the nose and the taste. Now, I am well aware that I’ve drawn this conclusion many a times when I’ve tasted the different releases and expressions from Smögen, but this time it is even more so! To me, this whisky seems way older than five years and nine months. 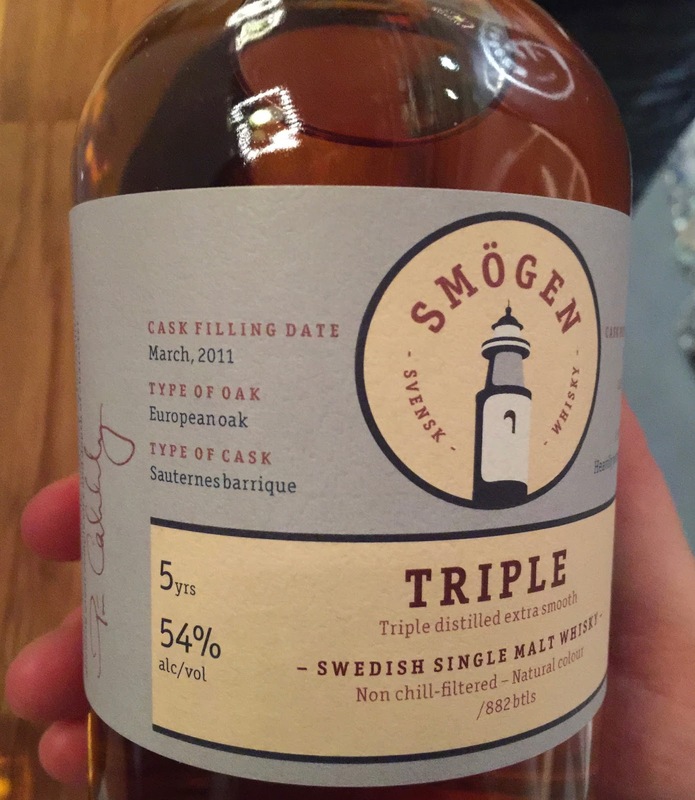 And, the triple distillation style works and fits perfectly with the ”house style” of Smögen, so smooth and so soft yet so full and fat… Nice! FIRE will be available on the swedish state monopoly on Friday the 17th of February (1331 bottles, and you can view it here). Just as ICE is a very special expression of Highland Park (read my post on ICE here), so is FIRE. What is special about it? 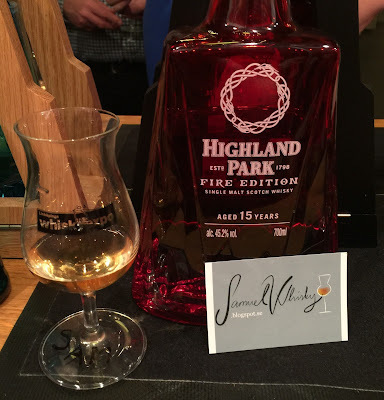 Well you see, FIRE has been fully matured in refill Port wine seasoned casks and Highland Park has to my knowledge never released a whisky matured in casks that previously held port wine. 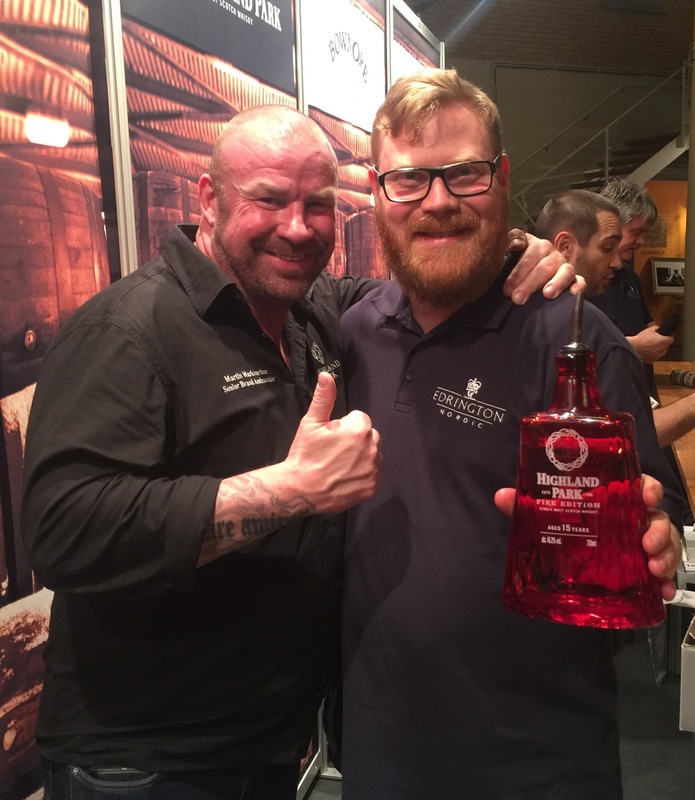 Adding to that, during the festival I spoke to Martin Markvardsen about the maturation process of FIRE, and if I understood Martin correctly (and if I remember correctly), the whisky has first spent 13 years in port pipes and was then transferred to port hogsheads for a final 2 years of maturation. For info on the concept and idea behind HP FIRE, please do check out this great video, where Martin shares the story of FIRE. Ok! Let's see what we have here! When opening the bottle and nosing, the first thing that comes to mind is actually something a bit ”burnt”, sort of. Maybe something like burnt dark raisins intermingling with peat. Pouring a dram into the glass and nosing from a distant (ten centimeters or so) I first get a very slight and soft touch of oranges, not really orange juice, rather orange peel (you know the way your fingers smell when you’ve peeled an orange?). There’s even some light milk chocolate with a scent of oranges. Also there is light liquid honey, a honey that is quite summer-y and flower-y, very nice and soft… But wait, there are more fruits in there, overripe yellow kiwi and something reminding me of… is it peach candy or is it mango? Anyways, moving closer so that I have my nose in the glass I first get a whiff of medium strong alcohol, surrounding that is that slightly ”burnt” note again, but this time something like burnt sugar rather than burnt dark raisins. Nosing even deeper into the glass, interestingly enough I do pick up sweet liquorice candy! At the same time, there is also something salt-y going on here. So, even though the nose all in all is complex it’s also very ”calm” if you know what I mean? 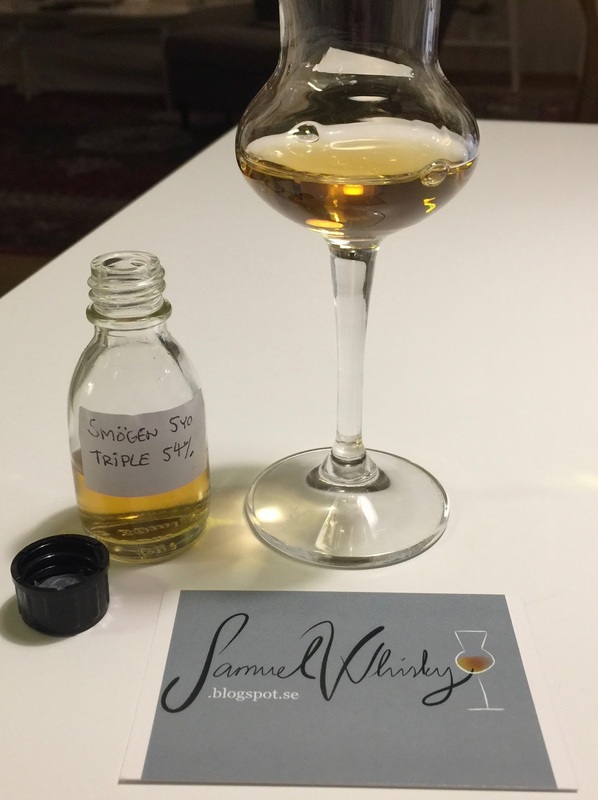 The only thing on the nose that pops out from the general fruity-ness, honey stuff and burnt raisins and the burnt sugar, is that peedie bit of medium strong alcohol, meaning, it smells just a bit ”strong” although it is only 45,2% ABV. Okey, moving on to the taste! Wow! First, it starts off on light liquid honey, but then, Boom! Everything goes very salt-y! Sea salt in fact, also of course a fist full of heather-honey-peat, and that’s with an emphasis on peat. Now, this first part of the taste is initial and quite fast, say 2-3 seconds. After that, when swallowing, it moves very quickly into bicycle inner-tube, some kind of vegetal and/or herbal feeling intermingling with rubber/”plastic” and metallic notes, in turn intermingling with peat. In the early aftertaste, the bicycle inner-tube thingy and the vegetal/herbal stuff, moves on (within a time period of 5 seconds or so) into a mix of heavy almond paste, and even more vegetal/herbal stuff… In the late aftertaste a sort of distant creamy-ness together with ashy peat becomes more and more apparent, finally becoming the center of attention together with someting like the kind of ”mould” that is on brie cheese. In terms of texture the aftertaste can be described as being lightly dry (not heavy dry, not medium dry, but lightly dry). From swallowing, the length of the dram is about one minute long but it starts to fade softly after thirty seconds or so. So, what’s the most interesting and good thing about this dram? 1). For me, something that makes a dram interesting and intriguing is the quality/characteristic that the nose is basically completely different from the taste, meaning for instance that none of the fruity stuff on the nose is there on the taste. 2). Both the nose and the taste is very complex, and complex in different ways. 3). 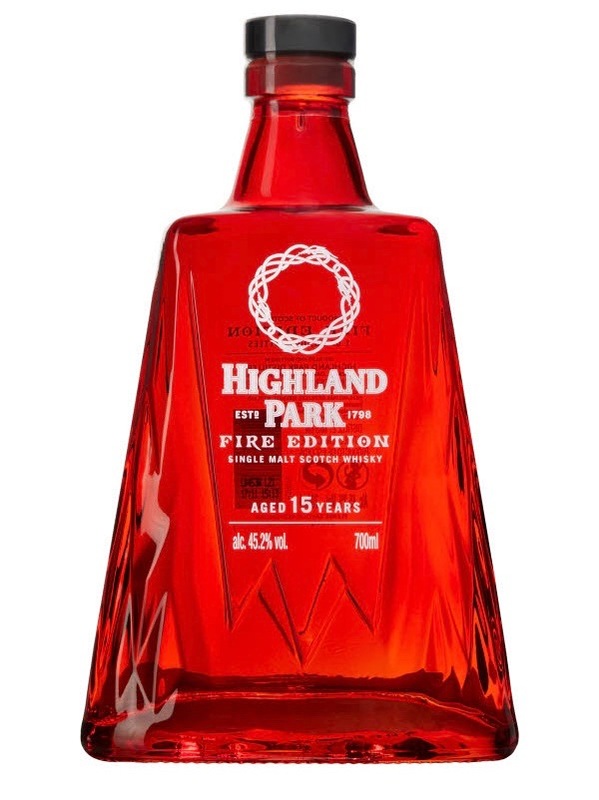 The move by HP to mature in a type of casks and seasoning it has never before done is absoutely brilliant which makes both the nose and most of all the taste very hard to anticipate. 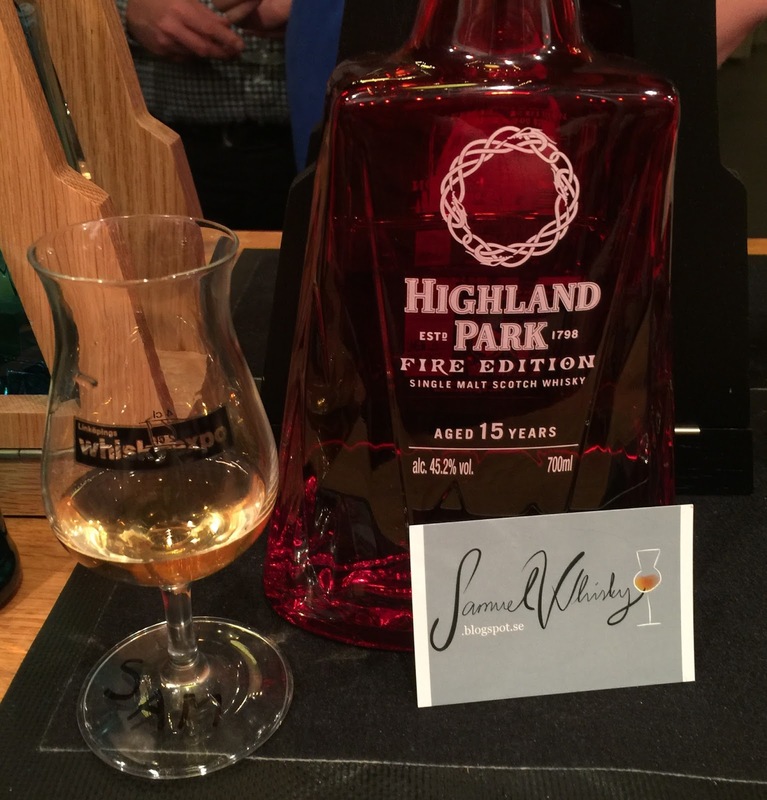 How is the concept of ”FIRE” visible or obvious on the nose and the taste? On the nose we have the peedie bit of medium strong alcohol but most of all the burnt raisins and the burnt sugar. On the taste everyhing signals ”FIRE”, apart from the honey and the creamy-ness as well as the brie type ”mould”. Could there have been even more ”FIRE”? Yes, but I think that it would have to entail first of all a higher strength and second of all the use of first fill port casks.